Breitbart News reported the Gov. Jerry Brown (D) signed the ban on “bullet buttons” on July 1, 2016, and the effective date of that law is now approaching. It should be noted that there is an extra step for any individual who possesses a firearm manufactured at home via an 80 percent lower. If a gun owner possesses such a firearm, he “must obtain a DOJ-issued serial number by completing form BOF 1008 and emailing it to DOJSerialNumber@doj.ca.gov.” A serial number has to be secured before the firearm can be registered before the law’s effective date of July 1, 2018. The ban on “bullet buttons” is only the latest in a litany of California gun controls. California requires would-be gun purchasers to obtain a firearm safety certificate from the state before purchasing a firearm, then requires a 10-day waiting period on firearm purchases. They limit handgun purchases to one a month, have universal background checks, limit concealed carry permit issuance to Californians who can show “good cause,” and completely ban campus carry or concealed carry by law-abiding teachers on K-12 campuses. 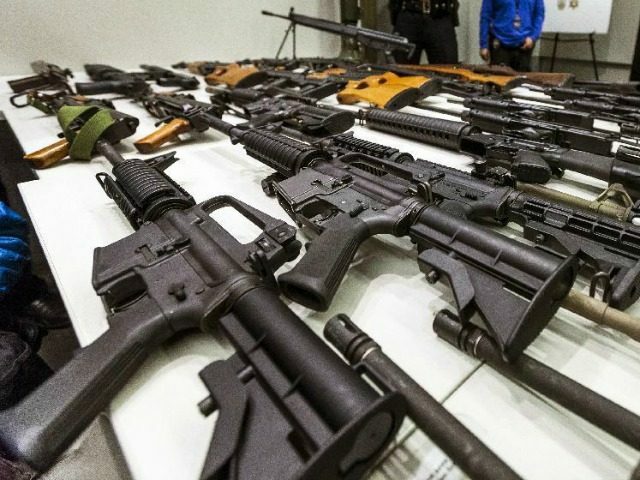 Moreover, on January 1 Breitbart News reported that California ushered in 2018 with ammunition control. These controls limit lawful ammunition purchases to in-state sellers who have state approval to sell ammunition. A caveat is that online purchases can still be made, as long as those purchases are sent directly to an approved in-state dealer who then adds a fee to the ammunition before the buyer picks it up. California residents will have to pass a background check to buy a box of bullets beginning January 1, 2019.